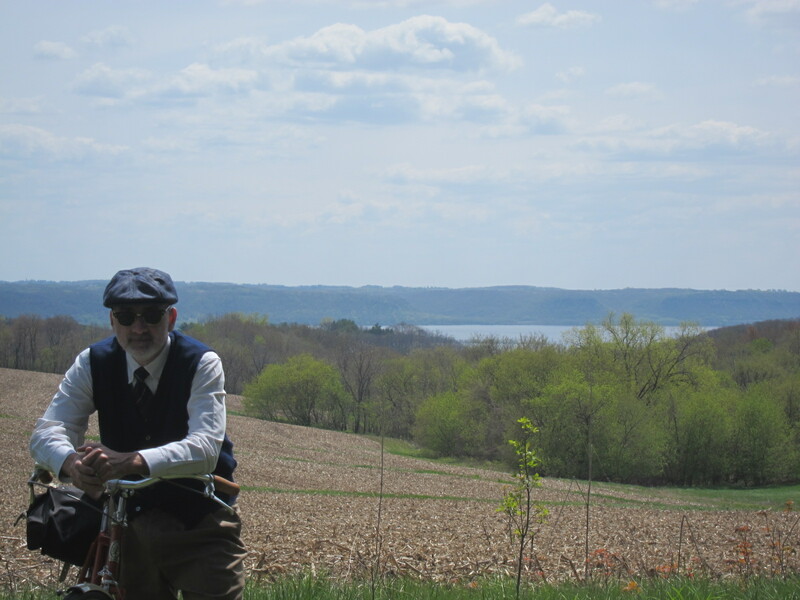 I just returned home from my travels that involved the Lake Pepin Three Speed Tour…and so much more. As I look back on all the photos I took, it is easy to see that author and reader alike would not have the attention span needed to take it all in one dose. I don’t think I’ll do a chronologic account of the entire trip. Part of it involved the hospitality of friends, Steve (GravelDoc) and Cindy Butcher in southwest Missouri on the way up to Minnesota and back that didn’t include photos. And part of it involved a visit to Madison, Wisconsin to meet up with Steve Wagner (Singularitas) which was partially documented via instagram. So I’ll ponder the situation a little, and likely will do multiple blog posts that highlight a few selected topics from the Three Speed Tour itself. For now, I’ll simply say that it was a grand weekend for a bicycle tour, and there are many photos forthcoming. Looking foreword to some great stories. I’ve found that one of the hallmarks of a good trip is that it’s not possible to write about it right away or all in one go. Looking forward to what comes of this one. Was nice meeting you along the shores of Lake Pepin. Look forward to reading your impressions. The fact that you’re not racing to react is a good sign that, indeed, you really get the essence of the endeavor. Hi Bob, I’m glad you found the blog. Thanks for your kindness and help, and thanks for showing interest in my efforts.